The DRS (Drag-Reduction-System) is an adjustable flap mounted on the rear spoiler, if opened it allows to reduce the downforce, significantly increasing the speed and, consequently, the possibility of overtaking the car in front. When closed it provides more grip in the curves useful medium-slow. The DRS was introduced in Formula 1 in 2011, Pagani also added the DRS to their masterpiece, the Zonda R Revoluciòn. The manual system is controlled with the DRS button on the steering wheel. 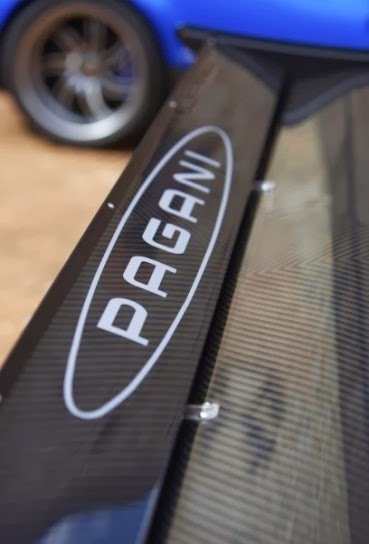 The rear wing changes between maximum and minimum downforce settings, at the occurrence of a lateral acceleration of + / - 0.8 g and a minimum speed of 100 km / h. Holding down the DRS for more than two seconds engages the DRS to work automatically according to the algorithms developed by the Pagani Automobili engineers during the development phase. The result is a car that is always fast, a strong performer able to take on any circuit in the world. Here I share with you a video which shows how the DRS works. It has been taken on the Zonda R Rovoluciòn last week in Zhuhai International Circuit.